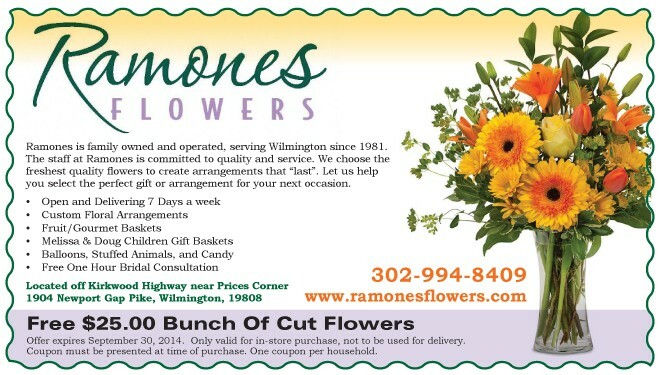 Ramones is family owned and operated, serving Wilmington since 1981. The staff at Ramones is committed to quality and service. We choose the freshest quality flowers to create arrangements that “last”. Let us help you select the perfect gift or arrangement for your next occasion.